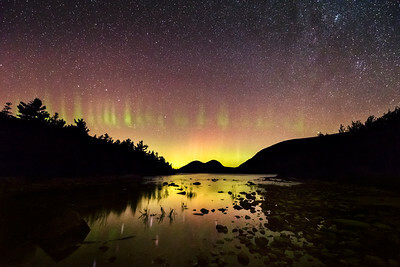 This workshop has been designed for experienced night photographers. 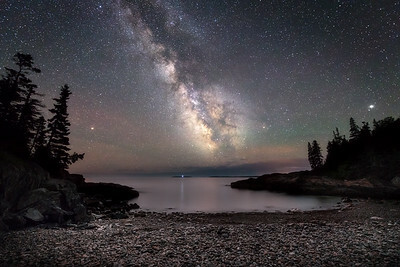 If you are a Taylor Photography Alumni client or have prior experience shooting and processing night sky images then this workshop is for you! Please contact us with any questions or concerns BEFORE signing up for this workshop. Thanks. 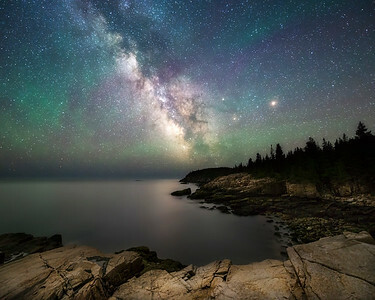 This is a 4 day astrophotography workshop in Acadia National Park. 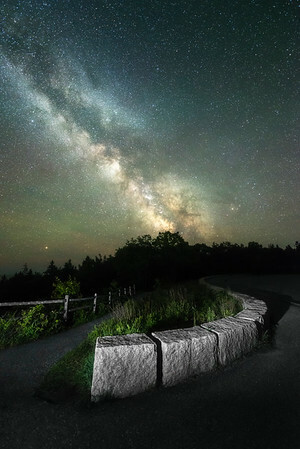 This workshop has been planned around the New Moon cycle to maximize the visibility of the features of the night sky. 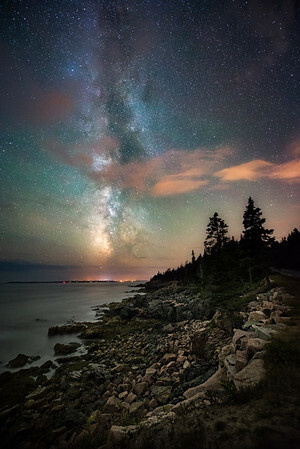 Acadia is well known for having some of the best dark skies remaining on the East Coast. 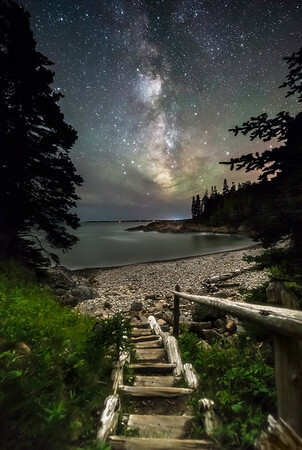 This incredibly scenic region includes Sand Beach, Otter Cove, Otter Cliffs, Boulder Beach, Hunters Beach & Little Hunters Beach, Eagle Lake, Jordan Pond, Cadillac Mountain and more. 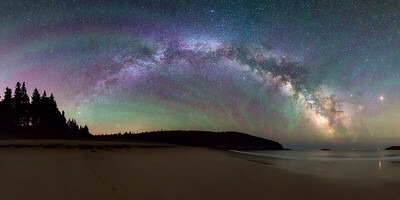 In early May the Milky Way begins to rise just after midnight on the Eastern horizon and appears as an arc in the sky. We will be set up & shooting before then and for 3+ hours each night. 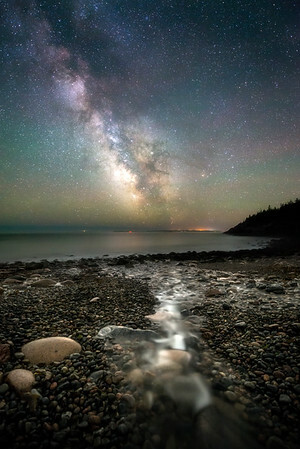 Early May is the PERFECT time of year for shooting night sky panoramas in Acadia since the Milky Way is so low in the sky. 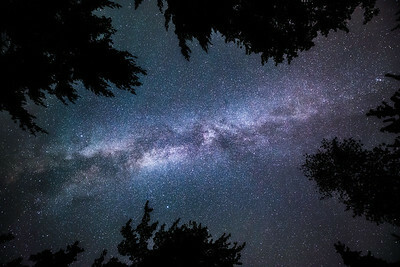 Classroom time will begin at 2PM each day and end around 6:30PM for a long break before we head out to shoot the night sky. You will have plenty of time to have dinner, shoot sunset, relax, explore, take a nap, etc. 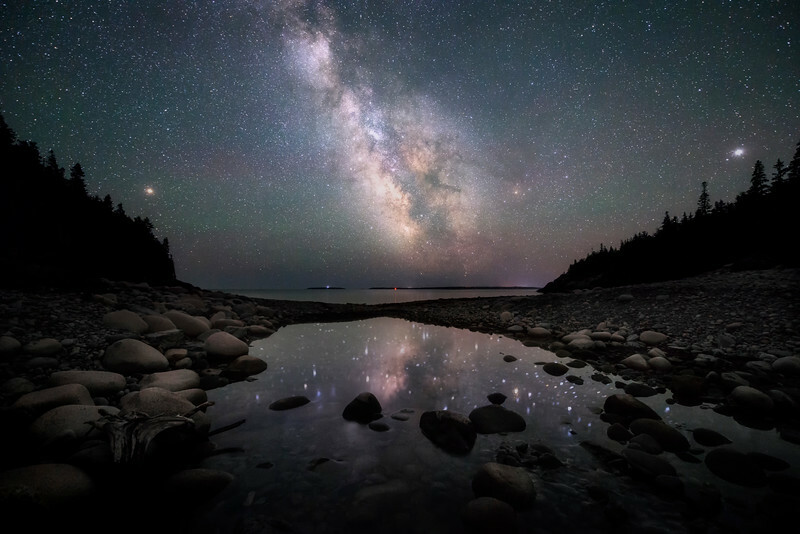 This is a comprehensive workshop with an emphasis on post-processing that will consist of 3 nights and 4 days - approximately 12 hours of in the field photography and 15+ hours of classroom tutorials & processing time. Check out our Processing page for some examples of what we will be covering in class. 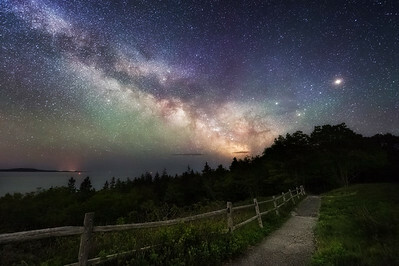 In The Field Photography: In all of our night photography workshops we try to cover as much as we can in regards to different methods of capturing stunning skies while including important landscape elements including: single shots, light painting techniques, long exposures for foregrounds and shooting panoramas. 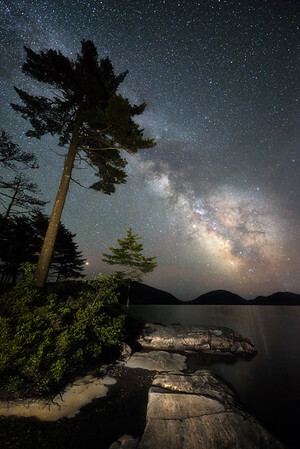 In this workshop we'll jump past most of the basic single shot ideas and go right into the techniques of photographing scenes with post-processing in mind: After a few test shots we'll start taking multiple shots for exposure blending, focal length blending, focus stacking, horizontal panoramas, star trails and time lapse. Mike and Sonia will help each participant with composition, lighting, troubleshooting, etc. Classroom Instruction: Our classroom time will mainly consist of processing tutorials and techniques via Lightroom & Photoshop and some of our favorite plug-ins to create remarkable images. We will cover Mike's entire digital darkroom workflow from RAW file to finished image. In most of our workshops we typically spend a half day or more going through every single slider in Lightroom, taking time to discuss what each one does and why it's so important to understand the basics of adjusting highlights & shadows, white & black levels, contrast, clarity, noise reduction, color balance, sharpening, lens corrections, radial & graduated filters, etc. In this workshop we will quickly go through all these Lightroom features but we'll be spending most of our time in Photoshop with layers and masking to improve your overall workflow and ability to edit images more selectively with complex masking, grouping layers, different blending modes & opacity for layers and brushes, warping & stretching, etc. We will stitch and process panoramas, work more intensely on blending exposures & star trails images and produce short time lapse sequences. Mike will take time to help each participant with their images as we progress through class time. Check out our Processing page for examples. Lodging, transportation and meals are not included. We will be carpooling to the photography locations. Investment: $1599 per participant. Alumni discount of 20% if you've taken a previous workshop with Taylor Photography. A non-refundable 50% deposit is required to reserve a spot or you may pay in full. The full balance is due 60 days before the scheduled workshop date or your reservation will be subject to cancellation. Please contact us ASAP if issues arise. If you have a friend or significant other who would like to attend the workshop but not participate, they will still need to register as a participant by paying 50% of the investment amount and sign the required waiver & consent form before we head out into the field. It is important that we have an accurate headcount for each workshop.